It’s hard for me to write about Argentina and Chile without hearing my grandfather in the background singing classical tunes of tango. How can one not be biased towards Argentina with a lineage of Tango idols in the family? Mi Buenos Aires querido, my home and my land. 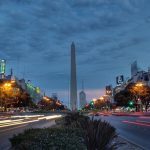 Buenos Aires is an inspiring and vibrant city that will entertain and surprise travelers of all ages. With an incredible clash of architectural styles and a rich social and political history, this city is one of the most beautiful cities in Latin America. Living in Argentina for more than half my life means I have traveled extensively throughout Chile and Argentina. One of my fondest memories was traveling through Patagonia to arrive in Calafate, driving through kilometers of arid steppe and seeing the most beautifully colored Lago Argentino. I was welcomed by gauchos in a remote estancia as they cooked the traditional cordero a la cruz. Mate never tasted so good as it did in that moment, sitting around a bonfire listening to the gauchos tell wild stories and exciting life tales. Read on to learn about one of my favorite South American itineraries and to get an in-depth look at the ultimate Patagonia combination tour, the Argentina + Chile Adventure. This itinerary marries two incredibly dynamic and beautiful countries into a once-in-a-lifetime adventure. Crossing from one country to the other gives you the opportunity to see and interact with two very different cultures and landscapes. This Chile and Argentina tour was created to give you the best of both worlds, visiting the beautiful city of Buenos Aires, the majestic glaciers of Calafate, the crown jewel of Patagonia (Torres del Paine) and also allowing for time to relax amongst Chilean vineyards and the bohemian yet beautiful coastal town of Valparaíso. We’re regional experts here at Knowmad Adventures and pride ourselves in building custom trips that are a perfect fit for our travelers. If you’re interested in crafting the ultimate Patagonia combination trip, but this particular itinerary doesn’t strike your fancy, don’t hesitate to reach out to me or any of our Trip Specialists at 612-394-2894 or travel@knowmadadventures.com to begin planning your trip today! Enjoy Chilean Patagonia’s most privileged location and unprecedented flexibility while staying at Explora – one of the world’s top adventure lodges. You will fly on an overnight flight from the U.S. arriving to Buenos Aires early the following day. After your early morning arrival to Buenos Aires you will be met and taken to your centrally located hotel. Spend the rest of your afternoon experiencing an incredible guided exploration of Buenos Aires. Dive deep into its culturally rich neighborhoods: San Telmo, Lo Boca, Puerto Madero and La Recoleta. Enjoy your morning at leisure independently before a dynamic guided exploration of the Buenos Aires highlighting various aspects of the cities history and culture while bringing to life one of the most vibrant cities in the world. You will be picked up in the morning and taken to the airport for your flight to El Calafate and taken to your hotel. Travel by private transfer to ‘Bajo Las Sombras’ pier to board the ferry for an exciting morning of introductory ice walking atop this massive glacier. The ferry embarks across the Rico Arm while enjoying stunning views of the glaciers front walls and iceberg channels. Once you arrive at the glacier, mountain guides will lead you on a two-hour introductory glacier hike exploring the picturesque landscape of streams, small lagoons, gullies, and giant ice formations (more demanding ice-hike options available upon request). After the hike, a short stroll through the forest will bring you back to solid ground. In the afternoon a leisurely walk takes you from viewpoint to viewpoint as you marvel at this natural marvel. Awake in the morning to embark on a scenic overland transfer into Torres del Paine National Park, crown jewel of Patagonia. After settling in to Explora Salto Chico Lodge with its unrivaled location and views, you will discuss with your guide Explora’s wide range of excursions in Patagonia and chart out your time in this remote and beautiful land at the bottom of the Earth. From this wide range of excursions choose more casual driving safaris to demanding full-day hikes near glaciers, glacier boat expeditions to private catamarans on turquoise lakes, cantors through vast grasslands with gauchos or more introductory horseback rides in striking scenery. At Explora Salto Chico the focus is adventure and an expedition tailored to your interests, while returning to a centrally located lodge of understated elegance. 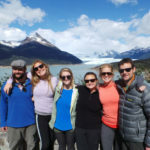 Choose from a range of Patagonia adventure excursions to create your perfect, custom experience. Explora may be substituted in this program for a custom, private adventure in Torres del Paine, or any of our other recommended lodges in the park such as Awasi Patagonia, Tierra Patagonia, EcoCamp Patagonia, etc. Depart in the morning in accordance with your flight from Punta Arenas to Santiago. Have the day at your leisure to enjoy the grounds and facilities at La Casona. Time dependent, you may choose to take a tour of the Matetic Winery as part of your stay at La Casona. You will be met at your hotel and taken to the renowned Casablanca Valley. The valley is world famous for its commitment to producing some of Chile’s best white wines and cool-climate reds. Your first visit will be to Loma Larga, named “Winery of the Year 2011,” where you will enjoy private tasting of their most distinctive wines. Next stop is HOUSE Casa del Vino, for a special food and wine pairing lunch. After lunch you will visit Viñedos Organicos Emiliana, on the forefront of organic winemaking. *Optional biking tour on this day, highlighting the serene countryside and vineyards of one of the worlds most distinguished wine regions. Discover the eclectic charm of Valparaiso. The first Chilean city founded by the Spanish, ‘Valpo’ was recently named a UNESCO World Heritage site. Ride the century old ascencores (hillside elevators), walk lyrical streets, and visit poet Pablo Neruda’s home. Your exploration also includes a stop in the resort city of Viña del Mar, known as “the garden city” for its lush gardens and palm-lined boulevards. Enjoy a relaxing morning on La Casona’s beautiful grounds before heading with your guide the short distance to Santiago where you will explore this thriving capital city and get to know Chilean life and customs. Following your Santiago exploration you will be taken to the airport and bid farewell before flying home (generally evening departures on overnight flights). This ultimate Patagonia combination itinerary is ideal for those seeking a comprehensive, dynamic, and flexible Patagonia tour that also features the best of greater Argentina and Chile. A striking juxtaposition of landscapes and settings from the urbane to the end of the world, this trip wows at every turn. 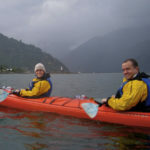 Knowmad has vast knowledge and operating capacities in Argentina and Chile: this is a private trip and we are happy to modify excursions, accommodations, and the flow of the itinerary to perfectly suit your travel style and interests. Additionally regional airfare for this trip averages $800 (Buenos Aires/Calafate, Punta Arenas/Santiago — pricing subject to change). Knowmad Adventures is happy to help you coordinate booking these tickets. Ready to start planning your trip to Argentina and Chile? The first step is to reach out to one of our Trip Specialists at 612-315-2894 or travel@knowmadadventures.com. For additional details about accommodations, weather and when to go and more, visit the full Argentina + Chile Adventure page. Jean is a Trip Specialist at Knowmad Adventures, a company dedicated to creating unique, private and custom trips in South America. She has lived all over the world including the United States and Central America. Today she calls Buenos Aires, Argentina her home. Traveling has always been a part of her life and being in the travel industry has allowed her to show people how great Latin America is through her own experiences. Read Jean’s biography and more about the Knowmad team.